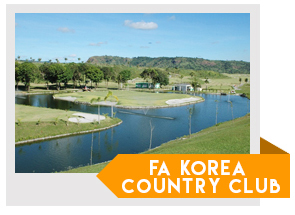 FA Korea Golf & Country Club is one of the most highly rated golf courses in the northern NCR region. Golfers love it because it is challenging. Visitors enjoy it because it is well-maintained and the customer service is superb. Elitists enjoy it because it is now a 36-hole championship course as they have just opened up their second full 18 holes. Imagine playing amongst some of the most scenic sprawling greens you will ever lay eyes on as designed by a world class Korean-designer. On the 16th hole you will even meet one of the biggest challenges you will ever face in golf as you encounter a hole in the shape of Jeju Island symbolizing Korea. Experience golf in it’s full beauty within this private, par 72 course. Extravagance, beauty, and world-class are 3 words most commonly heard when description FA Korea. People also love it because there are many amenities such as a pool, spa, driving range, restaurant, lounge and VIP suites. 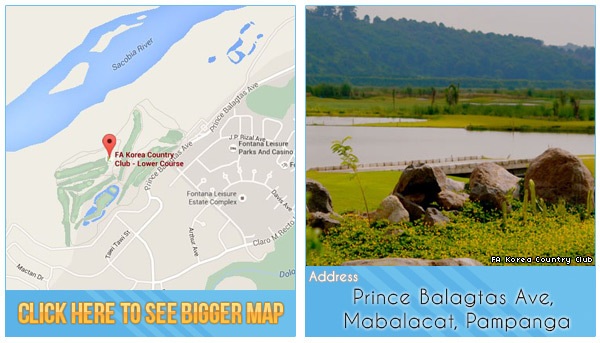 – Voted one of the ‘Favorite Courses North of Manila’ by GolfPH Members. – Signature 16th hole is actually designed in the shape of Korea, with the green symbolizing the beautiful Jeju Island. 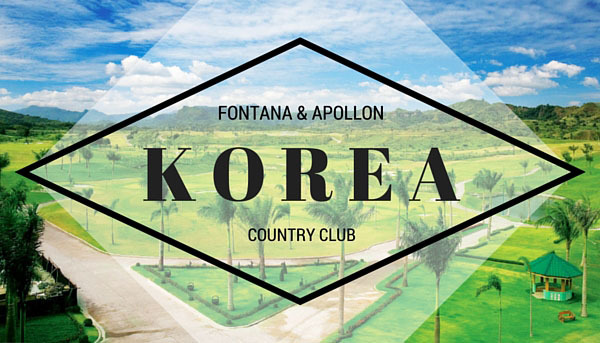 Tip for Tourists: You can still play at FA Korea Golf and Country Club by booking directly with GolfPackages. Fill out the form to your right and get your free quote today.